CaseStudyHub.com find Business case studies and writing tips. Germany is a major trading partner for many countries throughout the world, not to mention the most important single market in the European Union. Almost everyone wants to be active in this market, and for the most part, almost everyone already is. For this reason, stiff competition exists among many almost identical products and services. This fact not only leads to increased pressure to differentiate product quality and characteristics, but it also increases the importance of how a business presents itself to the German market. Of course, a company's products play a large roll in its performance, but, more subtly, so do its employees. Most of us know just how important social behavior are when doing business in our own cultures, and this holds true when working abroad as well. Whether one is taking part in trade fairs, carrying out price negotiations with partners or colleagues, talking with end-customers, or applying for a job abroad, appropriate business conduct helps create mutual trust and understanding and is, therefore, often the key to business cooperation and success. 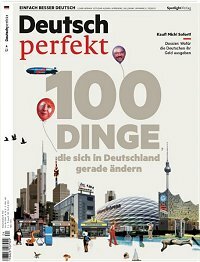 But what behavior are expected in Germany, a country where the people are known for their guttural language, their obsession with "Ordnung", their square-jawed seriousness, and other habits and sensitivities? You can help ensure the achievement of business success with the Germans when you are informed about the cultural differences and expectations in Germany and the situations in which they are important. It is then possible to act appropriately when the time comes and improve your chances of closing that "big deal" or establishing respectful working relationships thus setting yourself and your organization ahead of the competition. The purpose of this book is to help the business professional or student prepare for an assignment in Germany. We surfed the web, combed through the literature, and talked to a whole spectrum of foreign professionals working in Germany. After lots of brainstorming, we developed a list of practical and useful guidelines for helping business students and professionals negotiate the social challenges of a business encounter. Our advice is also designed to help avoid uncomfortable situations and tactfully handle predictable and unpredictable situations at all social levels in German business. Correct conduct with German colleagues and customers, how to master negotiations, the correct tone to use in e-mails and letters, and table manners are just some of the topics that can prepare you for a successful trip to Deutschland. Two years have gone by since the first edition of More than Manners came out, and we were thrilled by the great response that our book received. In this edition, we have included even more suggestions and questions that have come from our readers. In an effort to remain true to the book's compact form, we have also managed to keep the chapters short and packed full of useful information. Several chapters have been completely revised in order to keep up with today's chang-ing business environment. These include "E-mail Etiquette" and "New Strategies for the Job Hunt". We have also included several com-pletely new topics for which we have noticed increasing interest: "Efficient Meetings", "Celebrating at Work", "Small Talk", "How to Read Job Ads", and "In Case of Emergency: Information for Visitors to Germany". Suitable manners and cultural knowledge have gained even more importance in the last few years. 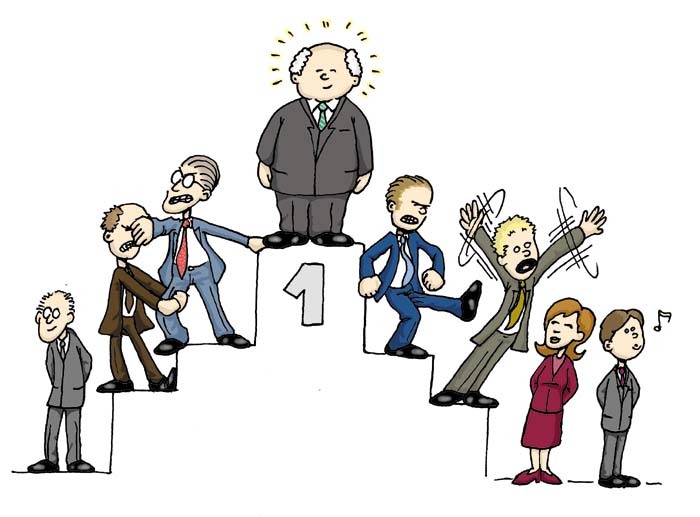 Main driving forces in the business arena today are constant competition and pressure for success, regardless of whether this is with colleagues, customers or while applying for a job. This is of special significance for Germany – the world's export champion of the year in 2014 – because hardly any other country has such a complex network of business relationships reaching across international borders. There is strong pressure on Germany to open up new markets and decrease expenditures. This will continue because of high domestic wages and great market po-tential in foreign countries. Therefore, Germany remains an attractive partner for foreign businesses. Successful business relations start with knowledge of the German market, German business and social etiquette and German culture. For example, an American dental supplier was confronted with a problem in recent years when, despite superior quality, it was not able to place products successfully on the German market because German-specific issues were ignored. 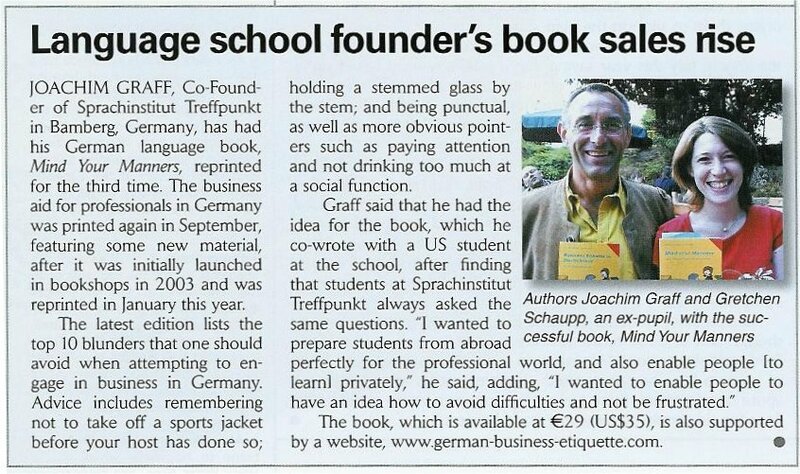 This is where our book offers useful support to foreigners who are planning on doing business in Germany. Special thanks go to Barbara Parsons for her help with the English version and to Martin Schippel for his help with the German version of this second edition. While preparing this new edition of what has turned out to be a fairly successful book, we came to realize that many other books address-ing similar topics are being published along with ours. This proves that “good manners” are finally gaining popularity again in Germany. Many of these books are published in German and their titles contain the word “Knigge” – a term the Germans use when referring to correct behavior. Before we go any further, we would like to explain to our foreign readers what “Knigge” means and where it originated: Baron von Knigge lived from 1752 to 1796 as a writer and philosopher in northern Germany and coined the term “Knigge” with his publication "Über den Umgang mit Menschen" (“How to Associate with People”), which first defined the behaviors that signal a good upbringing and how these should be passed from one generation to the next. 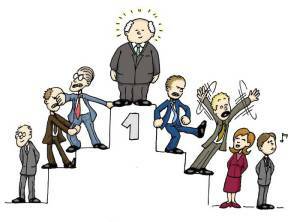 With all due respect to the Baron, we have again tried to summarize German “Knigge” while keeping a focus on those behaviors that are especially important in the workplace. In this edition, we have revised the chapters “Business Dinners”, “Traveling with the German Rail-way”, and “Networking” and we have included several new chapters: “The first 100 Days in a German company”, “How can I be a good boss?”, “Women in the German Workplace”, “Changing Jobs”, and “Business start-ups in Germany”. We hope you’ll enjoy the read. 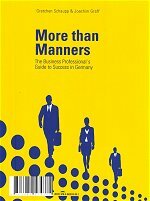 the last few chapters contain tips on the more baffling aspects of German business culture such as carrying out negotiations, networking, and dealing with conflict. Because these tips can be just as helpful for actual Germans, we have written the book in both German and English. As a foreigner, you should take advantage of the dual language aspect of the book, and refer to the glossary to help you understand key terms. Finally, remember that cultural differences might seem daunting at first, but they are also what attract us to foreign cultures and essentially make doing business in foreign countries challenging, interesting, and fun. Pecking order: Who shakes whose hand? Greetings: What should I say? Addressing someone: Should I use "Du" or "Sie"? What does a German mean when he says…? At this point, the authors would like to mention that this book could not have developed into its final form without the cooperation and intense discussion that took place between both English and German native speakers, and we would like to thank everyone who assisted us. We especially thank Nicholas Lusty from England and Barbara Parsons and Jason Rihel from the USA for their help with the English version, as well as Gerhard Beck, Kristina Zimmermann and Frauke Thiele for their help with the German version. 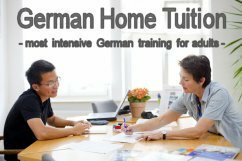 A special thanks goes to Alexandra von Rohr, who, through her ongoing work with German language and business courses ( www.learn-german-home-german-home-tuition.com), was able to guide and inspire us throughout the writing process. We also appreciate the creative work of Günter Mayer (www.comixart.de) and thank him for his never-ending patience and his talents, which allowed us to illustrate the book and give it its own personality. Finally, we thank all of the teachers and students in the German intensive courses at the TREFFPUNKT Language Institute. If it hadn't been for their questions, expectations, ideas, and perceptions of cultural differences, the motivation for this book would never have been triggered. To read current updates on the topics in this book, to find out about related topics check our website. In the near future there will also be a discussion forum. Hire an expert paper writer at My Paper Writer - paper writing service.